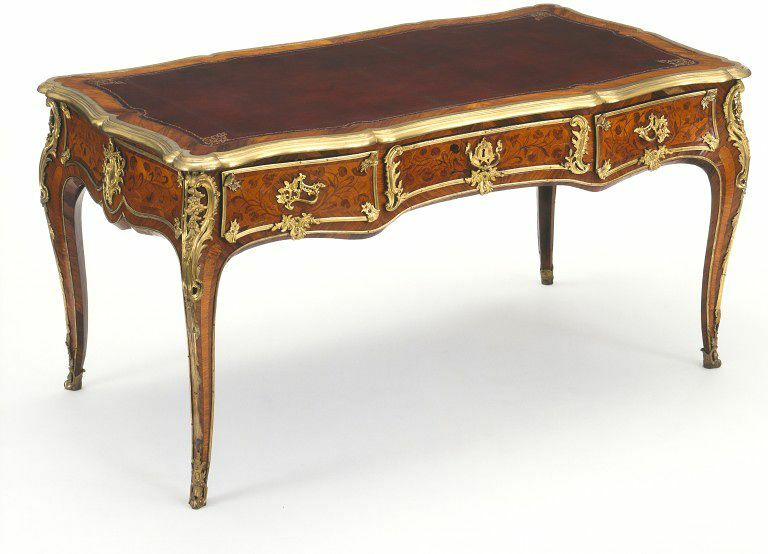 Gaspard Feilt, who made this table, was a native of Germany, although he worked in Paris. Many Parisian cabinet-makers came from Germany, bringing their skills to be perfected in the greatest European centre for luxury trades. Feilt, who died in 1763, must have made this table in about 1750. Just at that time it was becoming standard practice for cabinet-makers in Paris to stamp their pieces. His stamp, 'G.FEILT', is struck under one rail of the central drawer, together with the mark J.M.E., the mark of the committee of the cabinet-makers' guild which was supposed to inspect and approve all pieces. The floral marquetry with which this writing table is decorated seems to have been Feilt's speciality, and most surviving pieces stamped by him are similarly decorated. 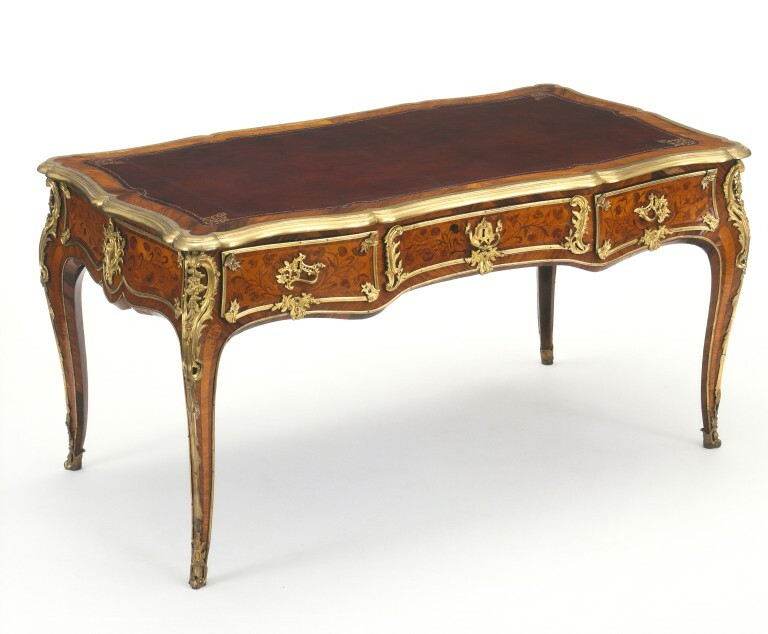 Writing table of serpentine form, raised on cabriole legs, veneered in tulipwood with floral marquetry in kingwood and gilt-bronze mounts, designed and made by Gaspard Feilt, Paris, ca. 1750.